I am not certain when the rumor started that birthed the myth: homeschoolers lack social skills and opportunities. 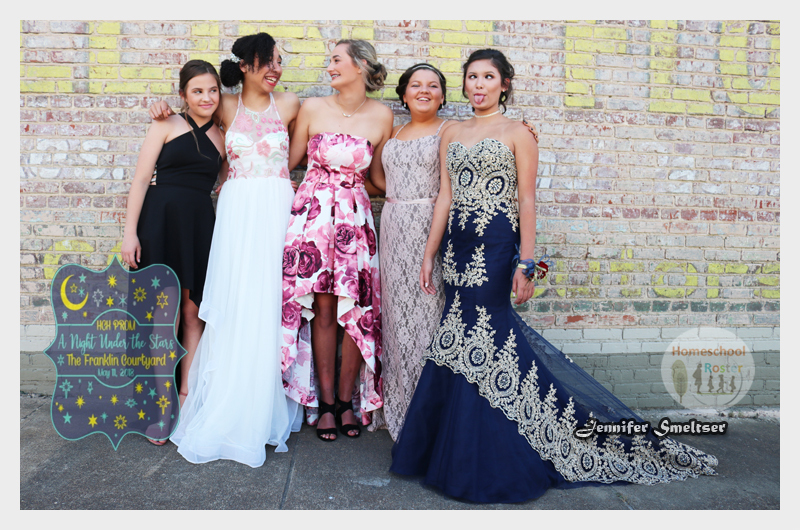 Our view last week looked a little like this – of course, there was school, but there was also theatre practice, serving as a home tour docent at a cemetery (of all places), soccer games, a field trip and we finished the week with the 2018 Hardeman County Homeschool (HCH) Prom: A Night Under the Stars. It is weeks, just like the last one that make me laugh when I hear someone’s concern about my children missing out on opportunities, because I have chosen to homeschool them. So far, we have not missed out on much. 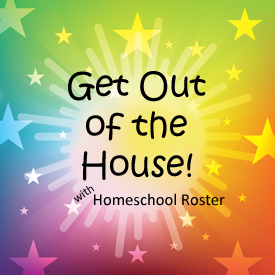 Because of our free time flexible schedule, homeschooling has opened a number of doors to us. Along with opportunities, my children have made some great friends. These girls, along with other homeschool friends, enjoyed a night out together at the 2018 HCH Prom that was held at The Franklin Courtyard in Mississippi this past weekend. 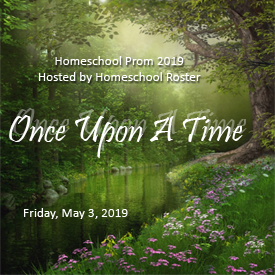 Homeschoolers came from all over to attend the homeschool prom. I will tell you this much, homeschoolers know how to party (good and clean) and have some fun. Their friendship was formed on the volleyball court playing for the West Tennessee Homeschool Sports and Activities (WTHSA) organization. Just a note that there are a number of homeschool organizations in West Tennessee that provide opportunities – music, speech and debate, athletics, art, field trips, dance, science fairs, gymnastics – for homeschoolers. You name it, homeschoolers have got it . . . and, yes, prom. I can honestly say these girls and their other teammates immediately bonded. I know that may sound weird, but it is actually quite normal; we’re homeschoolers. We can be serious, but can also get a little bit silly sometimes. How is that for socialization? I would say, as homeschoolers, my children are not lacking in opportunities. The real challenge is me learning how to say, “no,” because we just cannot do everything. I am so happy that Homeschool Roster exist. It is such a fun, inform-filled and intelligent website. 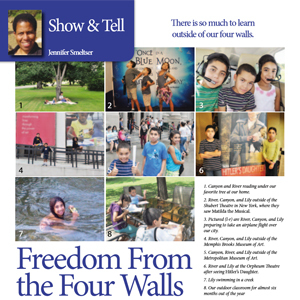 Thank you for sharing the activities your children and other homeschooled children in Tennessee (and other states) have experienced. 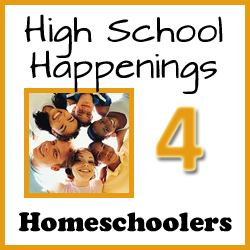 Your children and their homeschooled peers have excellent teaching programs. It appears as though your children are receiving twice as much education and social activity than many children attending public schools around this country. Well wishes to you and the rest of your homeschool community! Alexis (;-), I appreciate your response. We truly enjoy homeschooling and the experiences we have each day. I wouldn’t trade homeschooling for anything!